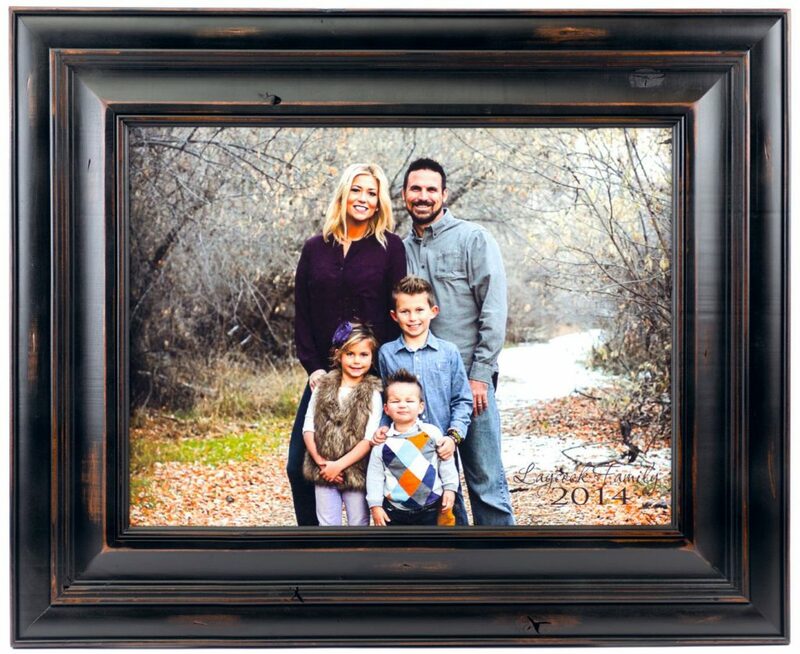 Proudly display your family name in this beautiful, warm, rich, chocolate-colored frame. 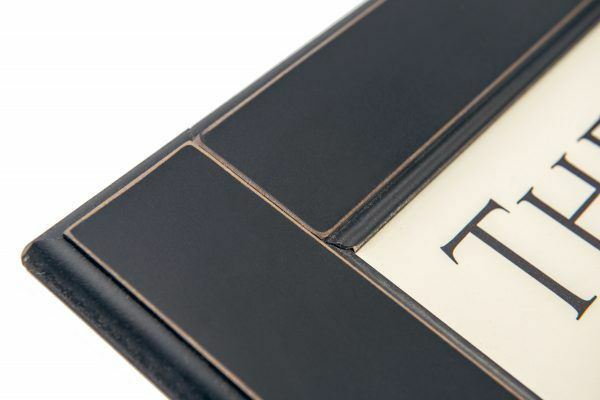 Customize and personalize your heirloom quality sign today. 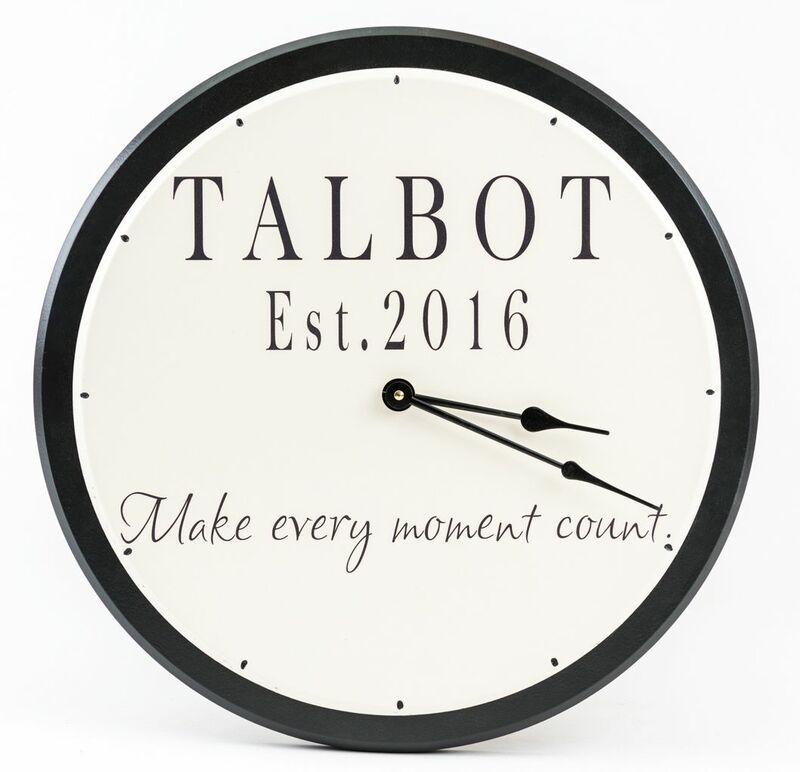 You choose the family name as well as the established year and the inspirational saying of your choice. 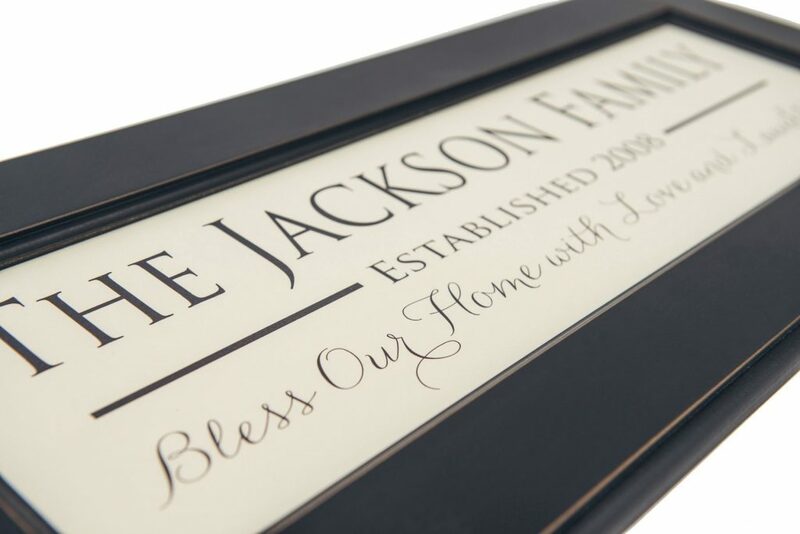 Our family name signs are beautifully designed and then framed with an heirloom quality frame. 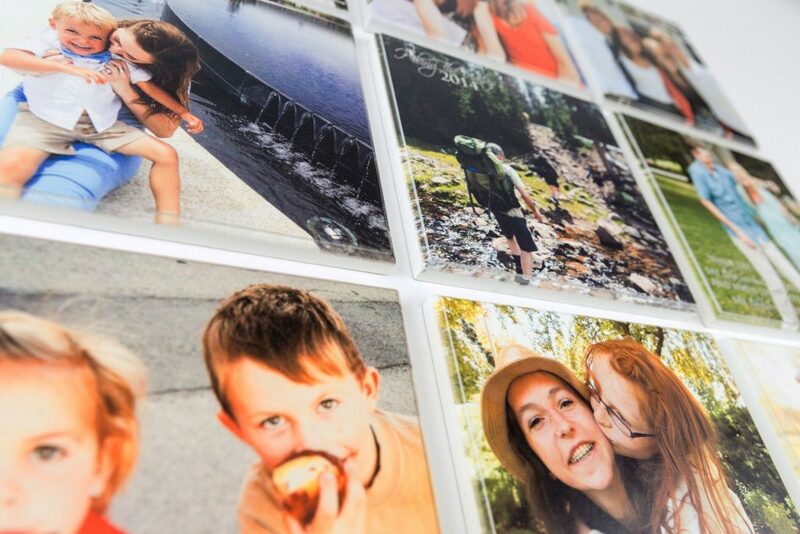 It measures 13″ x 42″ and comes with a keyhole hanger on the back so it is ready to hang right out of the box. 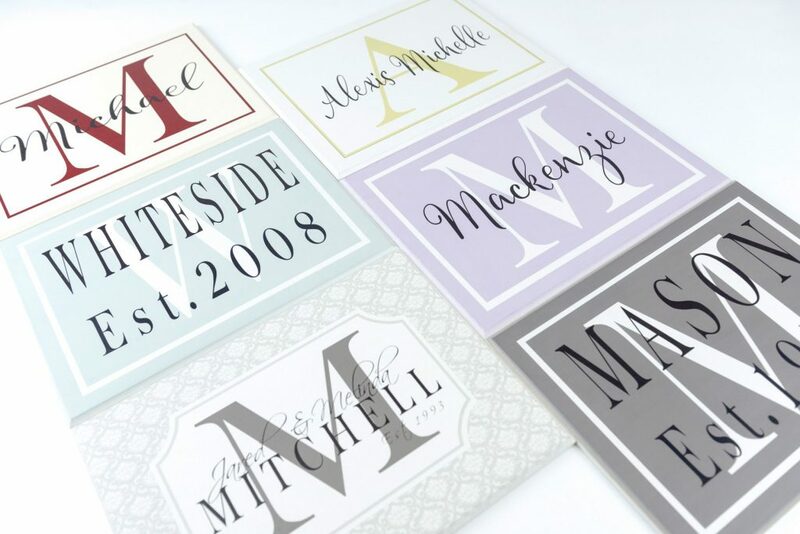 PERSONALIZED FAMILY NAME SIGNS-Personalized Wedding Gift “We received a framed Personalized Family Name Sign as a wedding gift and it’s our favorite gift of all the ones we received. Thank you so much. 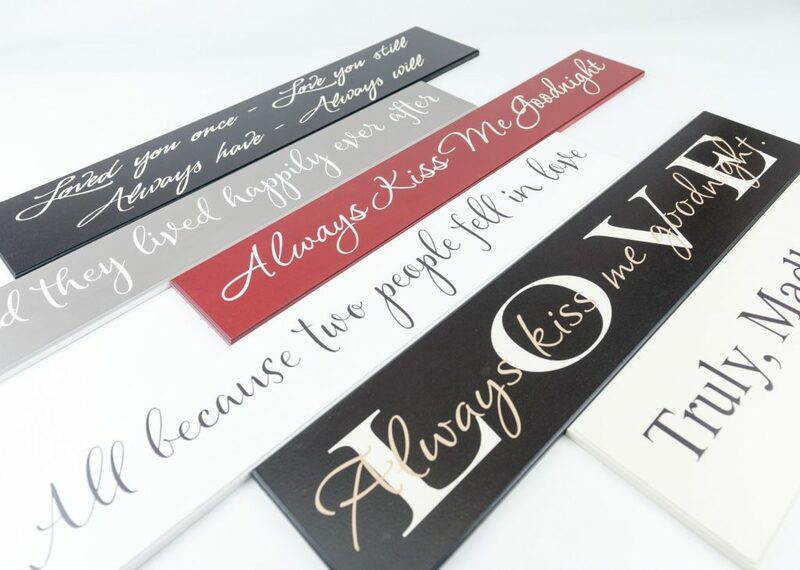 -Theresa” This sign makes an absolutely wonderful personalized wedding gift. 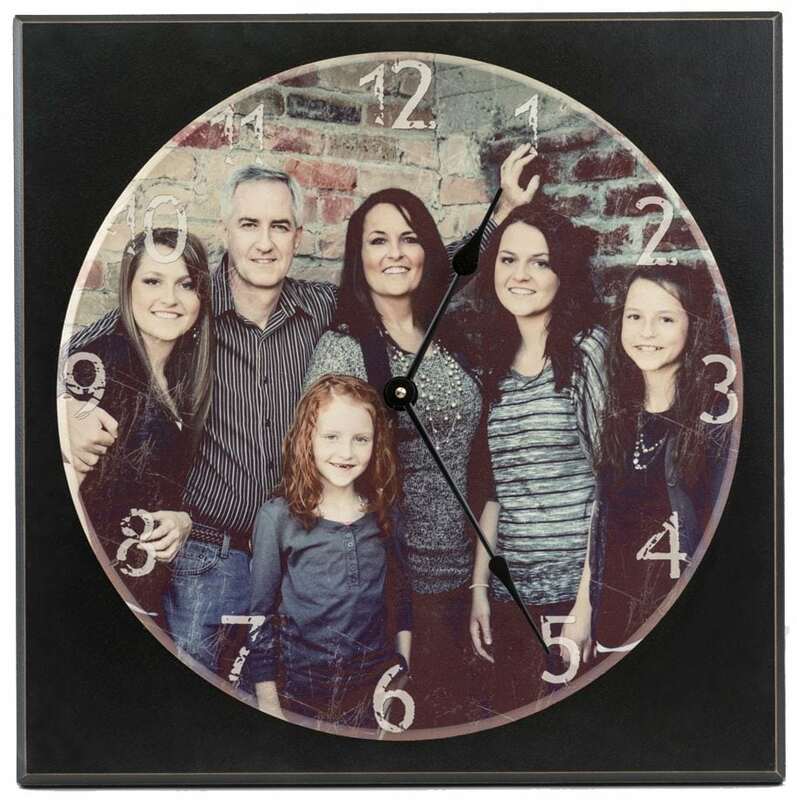 It also makes a perfect anniversary gift for your spouse or your parents. 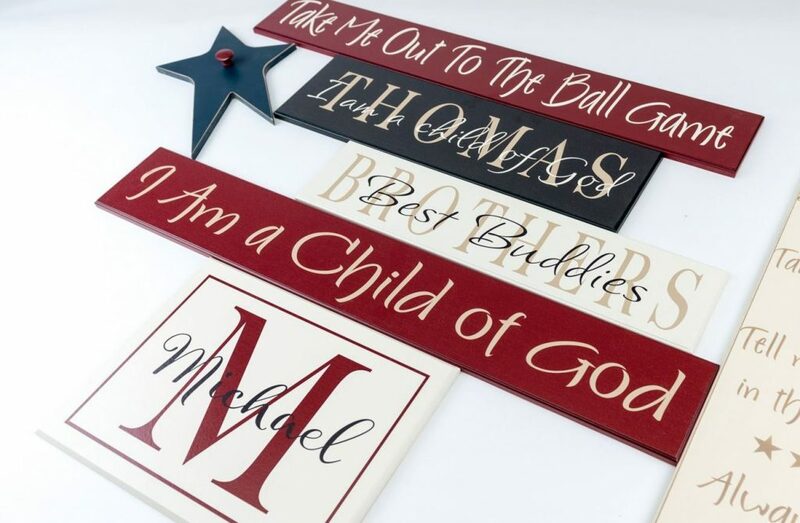 If you would like to give someone their “favorite gift of all the ones they received” like our customer Theresa, give a quality family name sign from American Woodcrafts. 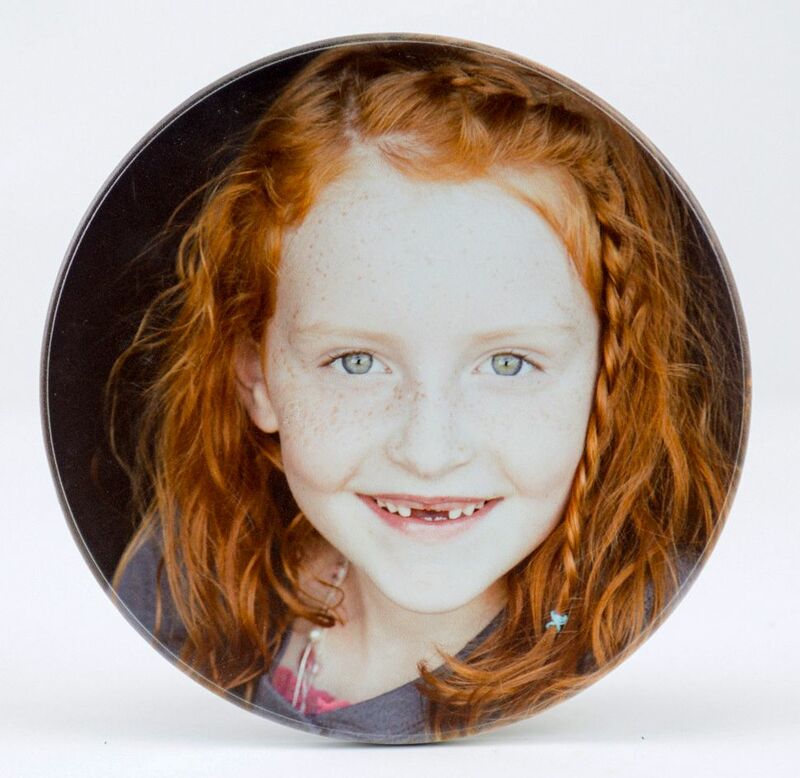 People always remember who gave them their favorite gift. 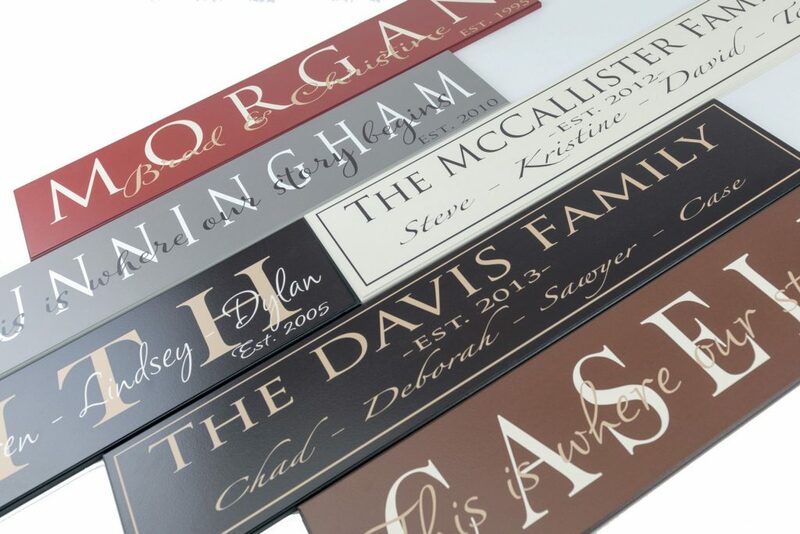 American Woodcrafts, LLC designed the original Personalized Family Name Signs. 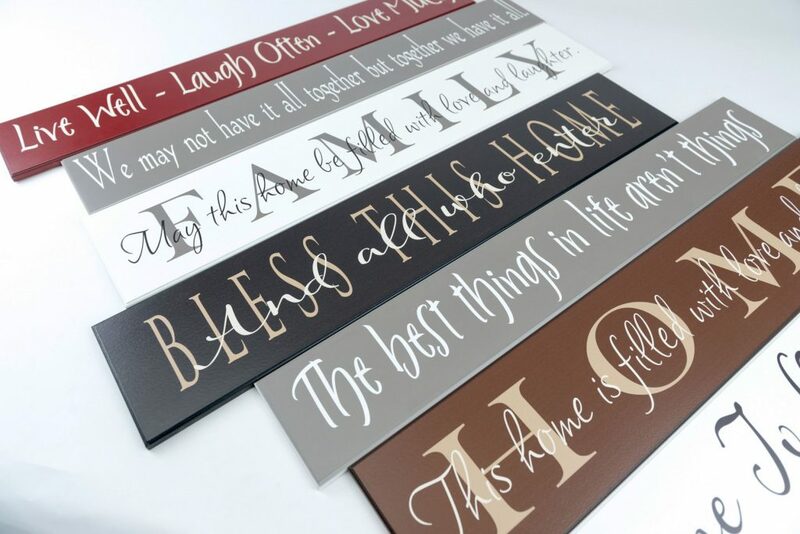 We offer our customers many choices for a top quality, handcrafted, beautiful sign. 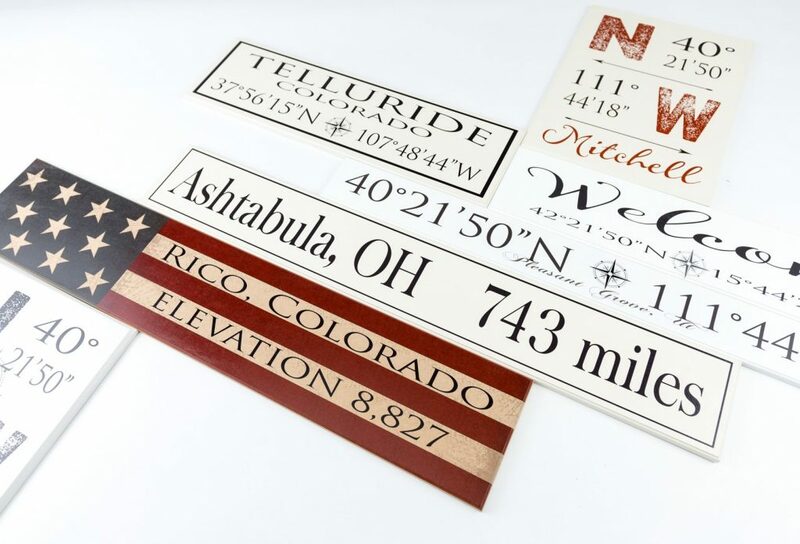 You get to customize your sign and have it made exactly how you would like. You choose the family name. 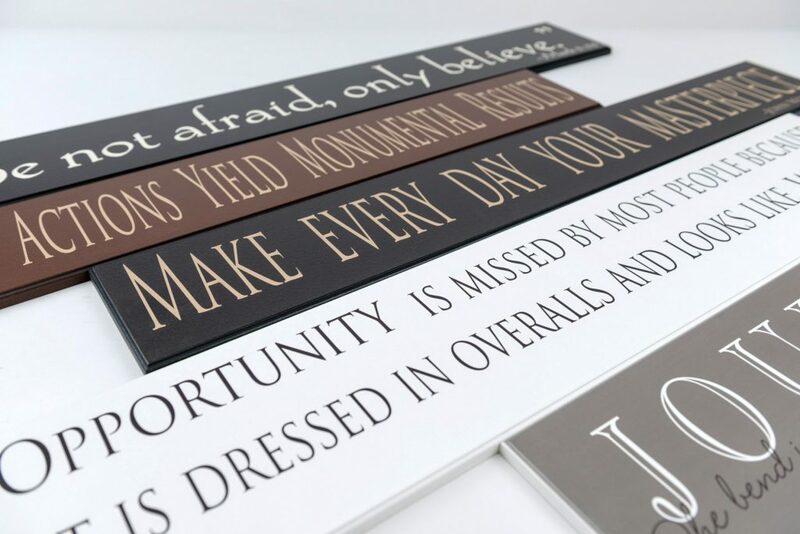 You choose the inspirational saying and established year. You choose the frame color. 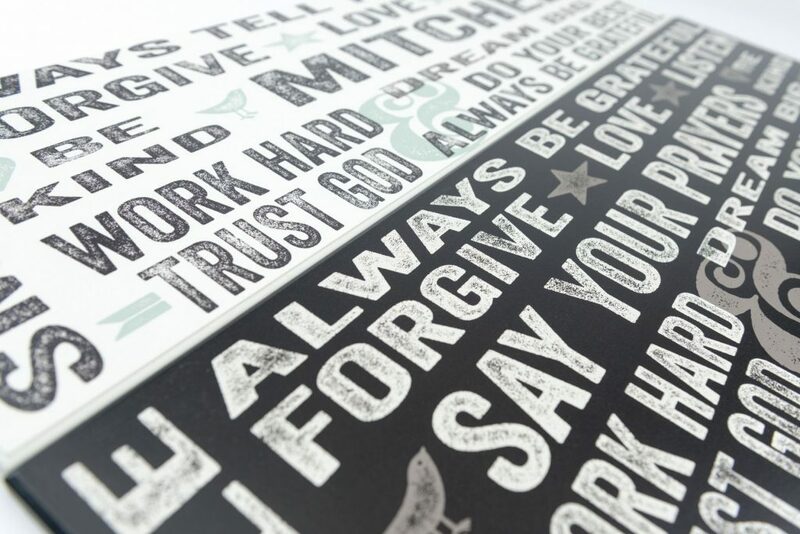 You choose the text color. 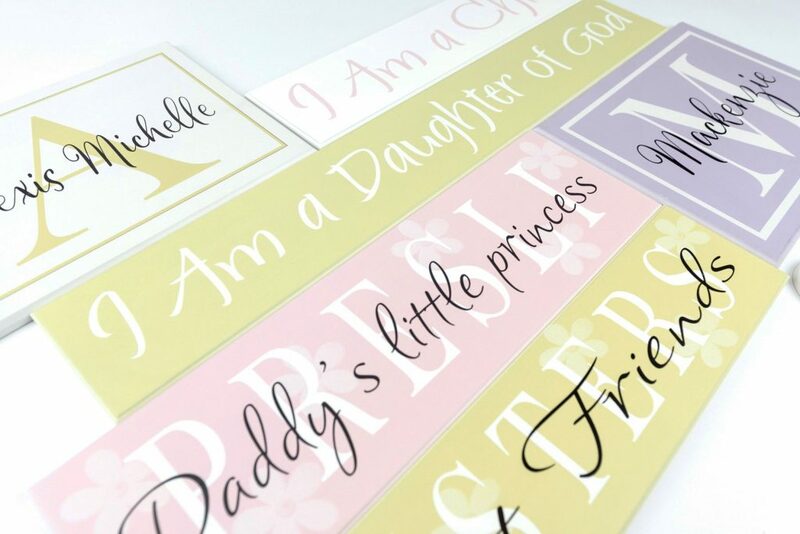 All of this adds up to getting a quality framed family name sign that you will be proud to display in your home or give as a gift. 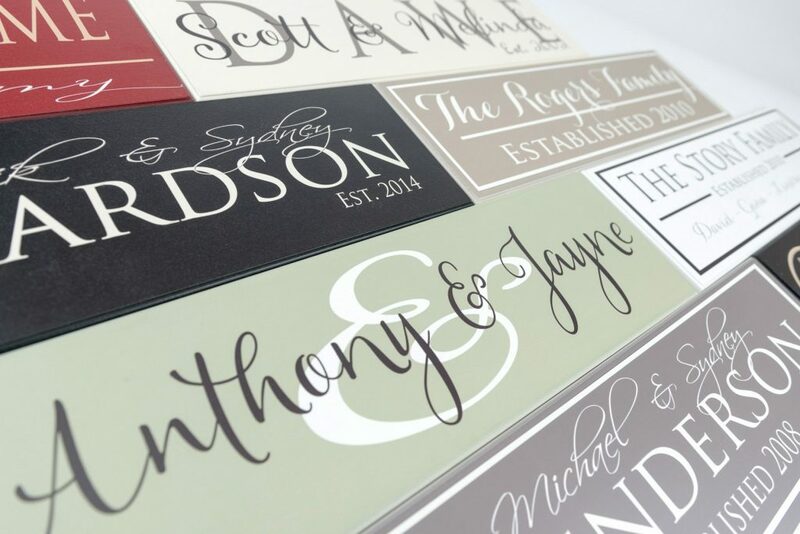 We design our signs in such a way that all names are easy to read and look very nice, no matter the length of the name. 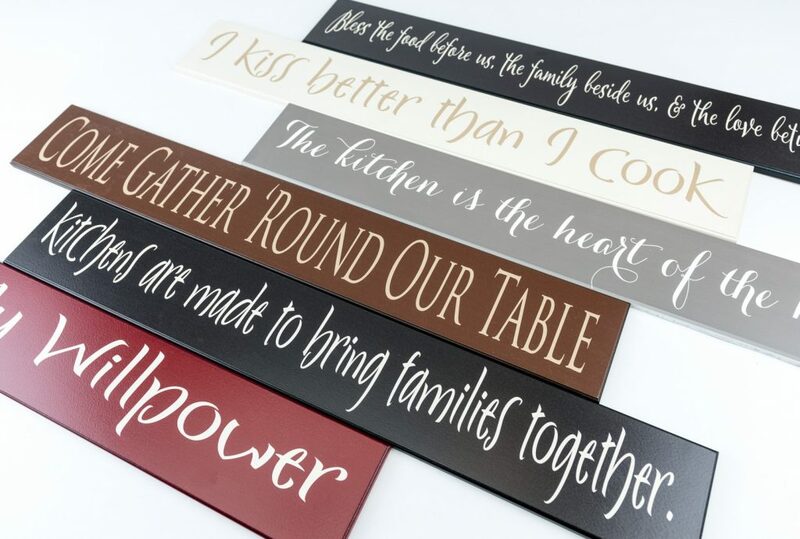 This wooden sign features the saying “Forever, for always, and no matter what” This is a very popular saying. 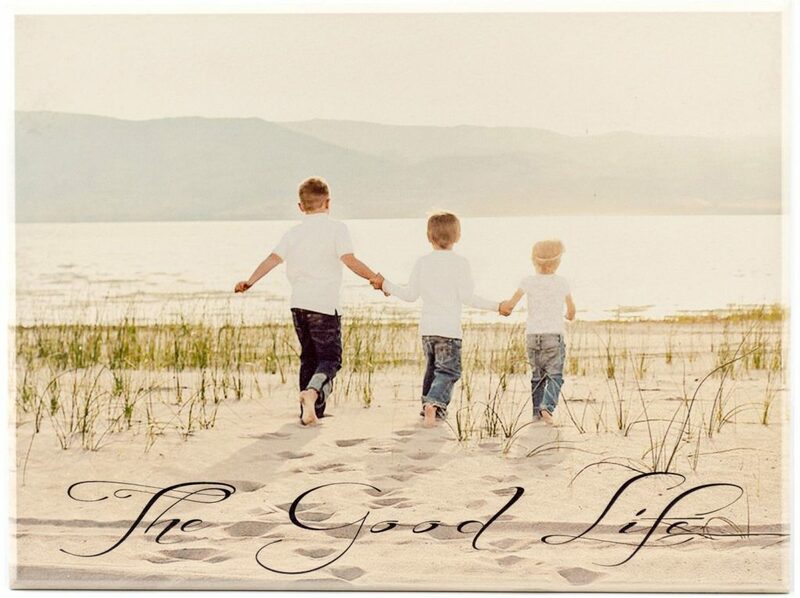 People love to hang this sign on a family portrait wall or in a hallway with family photos. 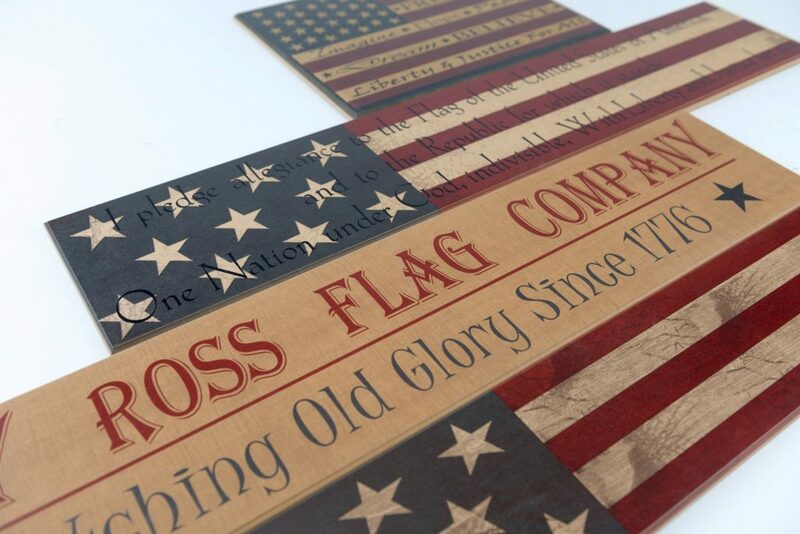 It is a large 13″ x 42″ and is definitely a focal point in any wall display. The sign has a keyhole slot so it is ready to hang right out of the box.